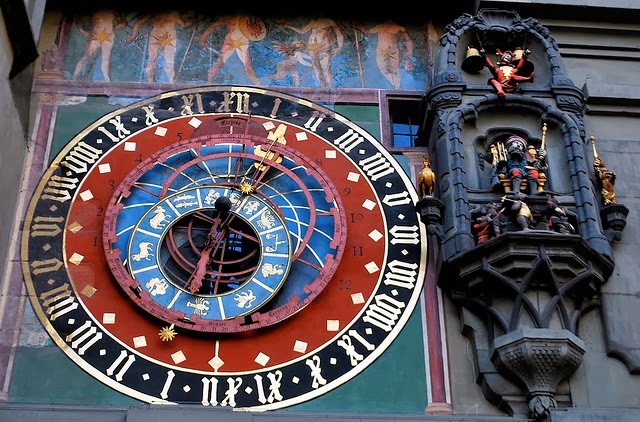 The Astronomical Clock is a term referred to a clock with special mechanism and dials which indicates, addition to the time of day, astronomical information as well with relative position of the sun, moon, and zodiacal constellation and at time major planets. 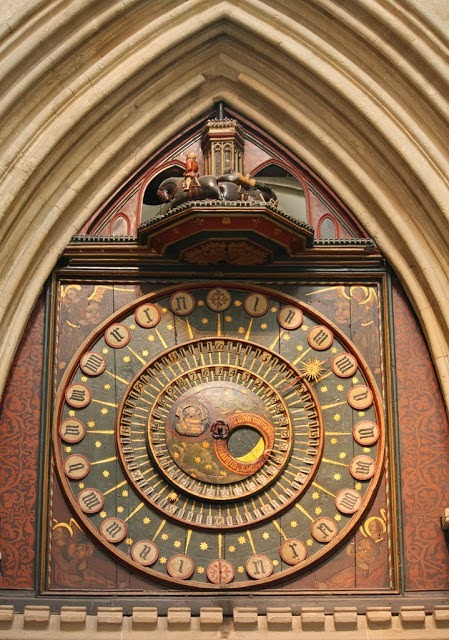 Besides the location of the sun and the moon in the sky, it also gives information on the position of the sun on the ecliptic, the age and phase of the moon, the sidereal tie, a rotating star map as well as the current zodiac sign and other astronomical data such as the moon’s nodes which helps in indicating eclipses. It usually represents the solar system with the use of the geocentric model where the center of the dial is marked with a sphere or a disc representing the planet earth and its location is at the centre of the solar system while the sun is represented by a golden sphere shown rotating around the earth once a day around a twenty four hour analog dial. 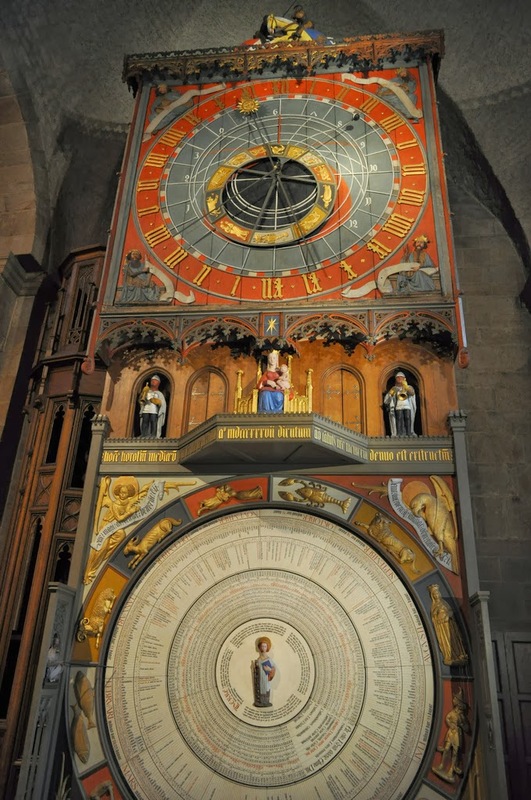 The astronomical clock should not be mistaken with astronomical regulator, a high precision though an ordinary pendulum clock is used in observatories. Astronomical clock of Richard of Wallingford in St. Albans during 1330 and Giovanni de Dondi in Padua in 1348 and 1364 were masterpieces which no longer exist today, though their detailed descriptions of their design and construction are available. 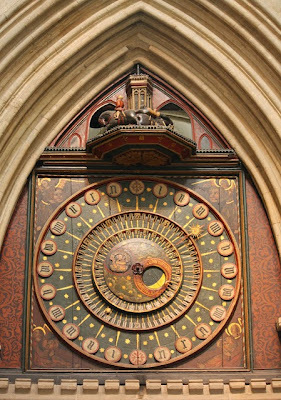 While Wallingford’s clock showed the sun, moon – age, phase and node, stars and planets, it had an addition of a wheel of fortune and an indicator of the state of the tide at London Bridge, De Dondi’s clock had a seven faced construction with 107 moving parts which showed the position of the sun, moon and five planets together with religious feast days. These clocks together with many others were somewhat less accurate than they were designed to be. Though the gear ratio could have calculated exquisitely, their manufacture was a bit beyond the mechanical abilities of the time, resulting in working unreliably. 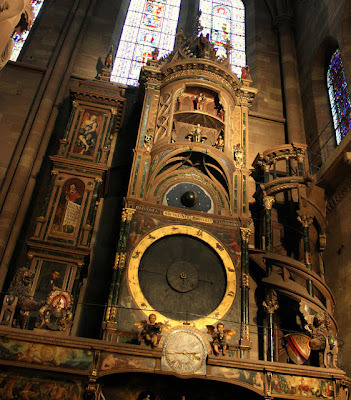 Besides the intricate advanced wheelwork, the timekeeping mechanism of these clocks till the 16th century was a simple verge and foliot escapement having errors of at least half an hour a day. 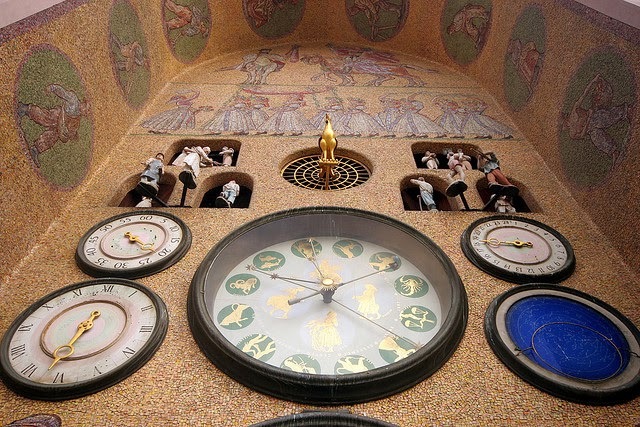 These were built for exhibition pieces or demonstration to impress as well as to inform and educate the people and building these clocks indicated that clockmakers would continue to manufacture them, to demonstrate their technical skill as well as patronize their wealth. 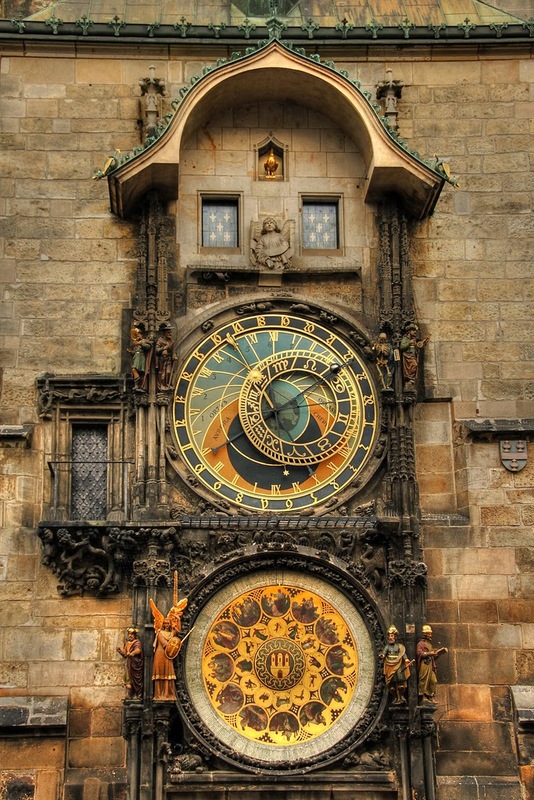 During the 18th century, the increased interest in astronomy revived more for accurate astronomical information which pendulum regulated clocks would display for philosophical message.